Janet has been designing jewelry for many years. Clients include friends, co-workers and jewelry professionals. She is now making these exclusive designs available to the general public. 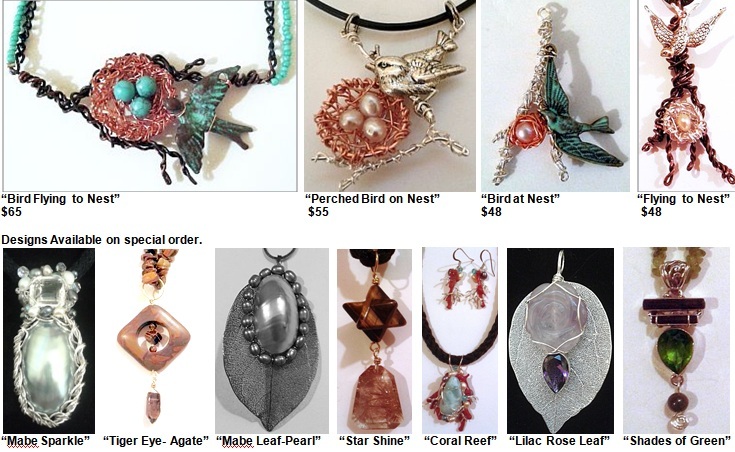 Janet can design and create any special one-of-a-king wearable art. She will work with your stones or from her collection of semi-precious stones. Contact her for a design appointment and consultation. Once-a-Month Jewelry Class - Learn to wire wrap pendants, bracelets, etc. Contact Janet for dates and times.